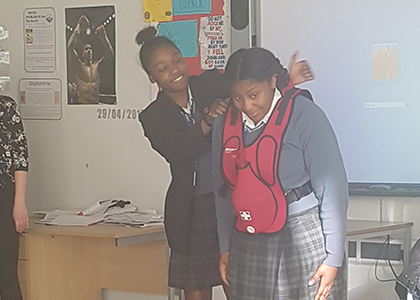 Ms Grant took 10 Year 10 students to Dunraven School to take part in a Medical Careers Day held by MCS Projects Ltd. The event was led by medical students from a variety of medical schools and hospitals. We had the pleasure of receiving talks from two guest doctors who shared their experiences of practising medicine and what the profession is really like. 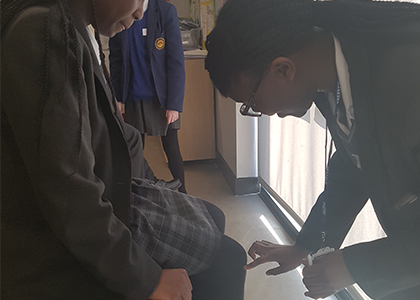 As well as gaining insight into possible careers in medicine, the students also took part in a number of different practical sessions including Emergency Medical Assistance, Diagnostics, Anatomy and Medical Ethics. MCS Projects Ltd raises the aspirations of young people through their involvement in events which enrich their knowledge of science, technology and languages. The Medical Days are designed to provide participants with the information they would require in order to apply to Medical School.